Welcome to KOPA News & Blog! Here you will find info about LED lighting, green technologies, and KOPA; as well as blog posts, photos, videos, and more! Any questions? Call us at 888 - LED - KOPA (888 - 533 - 5672) or email us at Info@KOPAgroup.com. Thanks! Find The Cash. Keep The Cash. With Low-Energy Lighting From Kopa. Save Cash NOW With Low-Energy Lighting and Kopa! Three good reasons why your business needs to convert to LED lights and save TODAY! Red Bank, NJ – May 23, 2017. For the first time in its 185-year history, Bermuda will host the prestigious 166-year-old America’s Cup, and Kopa Group will light it up. From May 26th through June 27th, the eyes of the sailing world will turn to the iconic “Great Sound” where the best sailors on the fastest boats will battle for the oldest trophy in international sport. Millions of spectators from around the world will be drawn to the event. Renowned for crystal blue water and beautiful pink sand beaches, Bermuda’s Great Sound will form a natural amphitheater for the race course while the planned America’s Cup Village at the Historic Royal Naval Dockyard, will be the beating heart of the America’s Cup experience. Immediately after Bermuda was awarded the event, with concerns for adequately capturing its beauty and safety at night, Kopa was retained to engineer, design, product source and oversee the lighting of this 208-year-old venue, which incorporates 90 acres with eight miles of roadway. Kopa Group is headquartered in Red Bank NJ, and specializes in providing Commercial & Industrial, Energy-Efficient Lighting and Control Solutions throughout the country. LED lighting incentives offered through the New Jersey Clean Energy Program will be reset on June 30th, 2017. While we here at Kopa can not be certain of what the new incentive amounts will be, we can be certain that they will not increase from their current levels and that certain fixture categories will likely see a decrease. If you plan on completing an LED lighting project in the next twelve months Kopa can assist you in locking in current incentive rates to ensure that you achieve the best possible State incentive. To speak to an incentive specialist today please email us at info@kopagroup.com, or give us a call at 888-533-5672. Now your business can save up to 90% on lighting-related, energy costs with superior, low-energy, LED lighting. And Kopa Lighting is here to help you. Kopa's lighting and design experts are NOT here to peddle you products; but rather to find the best lighting design to fit YOUR specific business and save you huge cash. 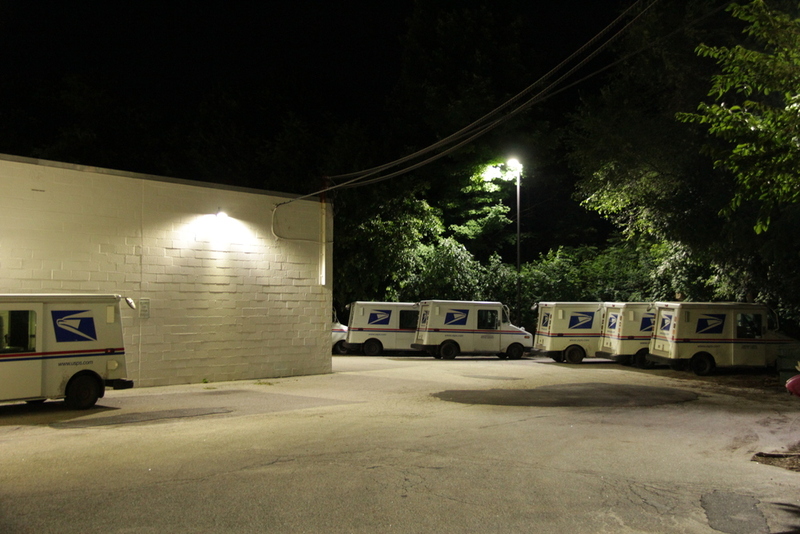 Low-energy, LED lights are superior looking, while also incredibly cost effective. And Kopa's experts will find ways (through tax incentives and breaks from the government and state due to converting to environment-friendly LED lights) to make sure your business will receive an immediate, positive, cash flow. Contact Kopa Lighting today to instantly increase the value of YOUR business! With Kopa Lighting's assistance, we will FIND you the cash that you are missing out on by not utilizing low-energy, LED lights. We will help you KEEP the cash through saving huge money on energy, lighting, and maintenance costs. And you will also GAIN the cash through tax incentives and governmental rebates. Get more CASH for your business today...convert to low-energy lights from Kopa Lighting. * LED's can save your business up to 90% on energy-related lighting costs (one of our clients, the extremely successful business A.S. Cooper & Sons, reported lighting savings of up to 75%, saving them HUGE cash). * Through better visibility, LED's will drastically reduce worker picking errors (as reported by two more Kopa clients, Fortune 500 companies Mercedes-Benz and Avery Dennison). * LED's will absolutely protect the Earth resource's and lessen your company's environmental impact. It's just good business these days to vastly shrink your carbon footprint. LED lights produce FAR less waste than "traditional" and florescent lights, thereby keeping our planet clean. Go green! Go with LED's! To find out if your business is eligible for a lighting upgrade, contact the Kopa Group at (888) - LED - KOPA or RAC@KopaGroup.com. We look forward to hearing from you! Kopa in The Royal Gazette! Very recently, the Kopa Group was featured in The Royal Gazette (a Bermuda publication) for assisting the very successful business A.S. Cooper & Sons with a money and energy-saving, LED lighting re-design. In it, Somers Cooper (Managing Director of A.S. Cooper & Sons) said that the company's lighting bill has been decreased by "between 65 percent and 75 percent." To check out the entire article click here! Besides having a very attractive appearance, LED lights are revolutionizing the way businesses see. The reason- LED's last far longer (up to 30 times longer than "traditional" lights), are sturdier than regular lights, and create far less waste, reducing a business' impact on the environment. Also, better lighting equals better worker performance. Upon the Kopa Group assisting Fortune 500 companies such as Mercedes-Benz and Avery Dennison with a total, energy-efficient, LED lighting re-design for some of their facilities, both companies stated that Kopa’s commercial and industrial lighting solutions significantly reduced their energy costs and maintenance, while acknowledging that improved illumination also reduces worker mistakes. Very simply- when people see better, they work better. Call the Kopa Group today at (888) - LED - KOPA or email us at RAC@KopaGroup.com to see if your business is eligible for a lighting upgrade! The Kopa Group has assisted the Hampshire Companies and it’s investors convert to LED lighting. The Hampshire Companies is a privately held real estate firm headquartered in New Jersey. Hampshire currently owns 259 properties in 28 states totaling over 23 million square feet. 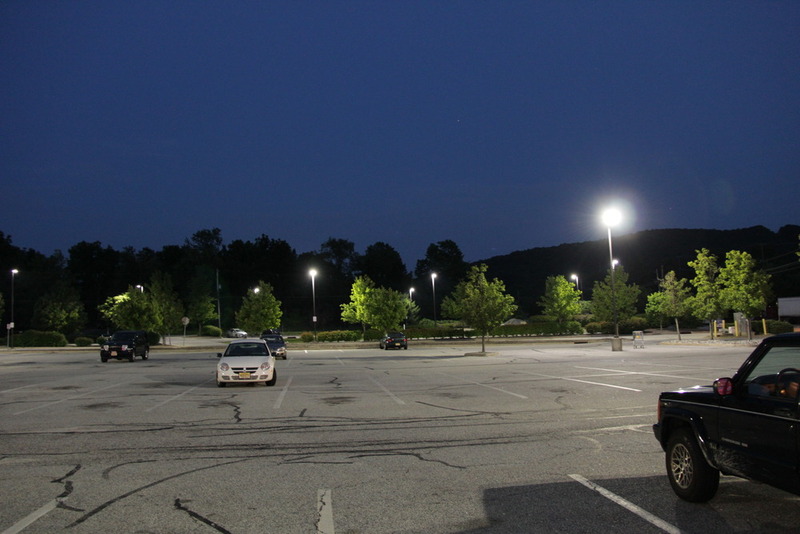 Check out some pictures below of how well a professional LED upgrade and LED light fixtures improve shopping center safety with superior and efficient lighting while significantly reducing energy costs (click on the picture for larger view). To see if you are eligible for an LED lighting epgrade, give us a ring at (888) - LED - KOPA or email us at RAC@KopaGroup.com. Thanks! The Kopa Group Lights Up Shadowbrook! Shadowbrook is one of New Jersey's most noted venues for weddings, social functions and charity events. Located in Shrewsbury, Shadowbrook is a beautiful Georgian mansion built in 1907 and spectacularly maintained under the stewardship of the Zweben family. Shadowbrook's attention to detail does not stop with a magnificently maintained mansion, outstanding cuisine and fine service. When upgrading to LED lighting, Proprietor Robert Zweben was insistent the the lighting showcased Shadowbrook's gorgeous interiors while ensuring that his guests were basked in warm, inviting light. And recently Shadowbrook had the Kopa Group assist them with a modern, energy-efficient, LED lighting upgrade. Take a look at these pictures of Kopa LED's in the elegant Shadowbrook estate! (Click on picture for closer view.) And to find out if YOUR business is eligible for a lighting upgrade, contact Kopa at (888) - LED - KOPA or RAC@KopaGroup.com. The Kopa Group can assist YOUR business! Give Kopa a call today at (888) - LED - KOPA or email us at RAC@KopaGroup.com to learn how your business can save up to NINETY percent on lighting-related, energy costs. The reason? Major companies across the globe are converting to superior, energy-efficient, LED lighting to significantly reduce their businesses' energy use and carbon footprint. And what do they receive in return? Huge savings and a better quality of lighting that makes businesses more attractive and valuable. Here are some great photos of the Kopa Group hard at work! (Click on pics for closer look).